Last Saturday, hundreds of residents packed into a newly renovated Dunkin' Donuts in the Liberty Bell Plaza shopping center. Mayor Cahn was on hand for the celebration, along with Council President Dave Fleisher, Councilman Jim Bannar and Councilwoman Carole Roskoph. All four joined in the ceremonial ribbon-cutting, along with the store's owner, employees, and a big cup of Dunkin' Donuts coffee. It was a fun and festive morning for all involved. 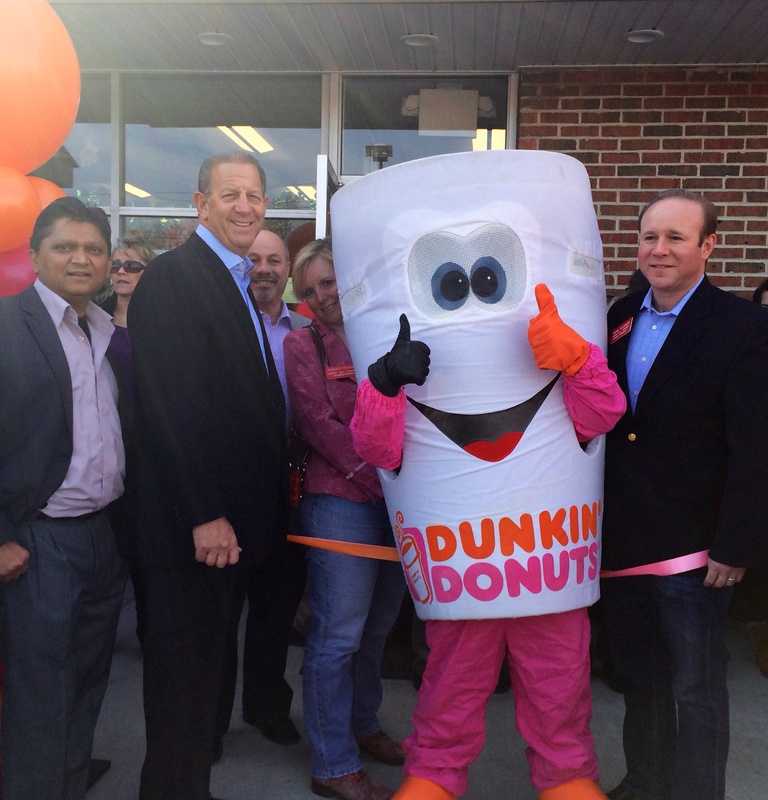 Congratulations to Dunkin' Donuts on successfully renovating the store, and thank you for inviting Cherry Hill to be part of the celebration!